Charter a private flight to Long Beach, home to one of the busiest shipping ports worldwide and incredible Mediterranean-style beaches. Whether flying private to vacation along Redondo Beach, Catalina Island or Manhattan Beach, or traveling via air charter for business in one of the many local industries, we can help arrange the right aircraft and flight itinerary that best suit your needs. Los Angeles Private Jets believes in providing private flyers with a one-on-one consultative service experience that exceeds every expectation. We understand that your time, privacy, flight preferences and most of all, safety, are all extremely important. Our Long Beach Jet Charter representatives are available for you by phone and email 24 hours a day, 7 days a week. When using our private aviation service, you can expect quick response times and an easy, hassle-free booking process. Request a quote or call us to arrange your private flight to Southern California. 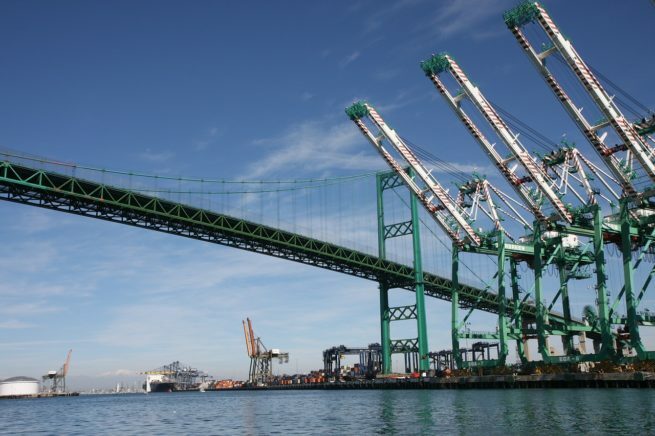 Long Beach is home to the nation’s second busiest container port, in addition to being one of the largest shipping ports in the world. The city has a lot to offer private luxury jet travelers, from its massive port, rich cultural diversity and important manufacturing sectors, to a variety of hotels and resorts for luxury getaways, business trips and special events. The following list of our top choices was created based on factors such as Los Angeles Private Jets passenger feedback, location, amenities and online reviews. Once you arrive in Los Angeles via luxury private jet, our Long Beach jet charter service brokers can also arrange ground transportation to/from the hotel of your choice. Hire a private jet and fly to Long Beach, a major port city located about 22 miles south of downtown Los Angeles. The city features everything from large industrial areas to residential neighborhoods ranging from low-income to exclusive, while holding a population density greater than that of Los Angeles. There are plenty of attractions to check out, including the RMS Queen Mary, a floating three-star hotel aboard an iconic 1936 ship. The Long Beach Convention and Entertainment Center is a popular gathering place for several industries, and the Long Beach Arena is home to entertaining shows year-round. The aerospace industry has a rich history here dating back to WWII, and the aviation company Boeing is the largest private employer in the city. Epson America, the US affiliate of Seiko Epson Corporation, is headquartered here. The city also has a great live music scene, and is the hometown of bands such as Sublime, T.S.O.L and Rival Sons. Toyota sponsor’s the annual Long Beach Grand Prix, turning the streets of downtown into an exhilarating racetrack. Things run at a slightly slower pace in October when the Long Beach Marathon is held. Check out more of our recommendations after your private flight to Long Beach, California. Located in the South Bay region of Los Angeles, Torrance is a residential and high-tech city known as one of the safest neighborhoods in LA County. The city is home to several companies, including the American headquarters for Honda Motors Corporation. Garrett turbochargers are manufactured here, as well as Robinson Helicopters. Once lined with oil well and derricks, it’s a major oil-producing area and the Exxon Mobil Refinery at the north end of the city supplies much of Southern California’s gasoline. (TOA) Zamperini Field is a busy airport located just 3 miles outside of Torrance, handling 175,000 annual flights. One of the three ocean-side cities in Los Angeles County, Redondo Beach is a popular vacation destination famous for its beaches, sport fishing and the massive Redondo Beach Pier. The south side is where all of the tourist areas can be found, including King’s Harbor at the west end of Torrance Blvd, home to several restaurants, a boardwalk lined with shops and a pier with scenic ocean views. Riviera Village, formerly known as the Hollywood Riviera, is a popular celebrity hang out with a distinctly Mediterranean vibe. Home of the StubHub Center (formerly The Home Depot Center), Carson is where you can catch the LA Galaxy and Chivas USA in action, as well as many other sporting events throughout the year. The Gardena, Harbor, San Diego and Long Beach Freeways all run through Carson, making it easy to get around. Carson’s history as an oil producer dates back to 1921, and the Arco Oil Refinery, together with Torrance’s Chevron Refinery, make up a large part of the South Bay skyline. Fly private and visit Carson, California. Rising above Los Angeles County along the Palos Verde Peninsula, the cities of Rolling Hills and Ranchos Palos Verde are home to some of the most breath-taking scenery overlooking the Pacific Coast and Catalina Island. Several upscale neighbors make up the center of the city, and doesn’t offer much in the way of tourism. However, over at Malaga Cove you can enjoy shopping in a charming plaza with Spanish Renaissance architecture, and if golf is your game, be sure to book a tee time at Trump National Golf Course. Los Angeles Private Jets utilizes the following airports to fly clients privately to/from Long Beach, California and neighboring areas such as Redondo Beach, Torrance and Carson. Request a Quote or give us a call at 1-888-987-5387 to speak with one of our private jet charter brokers for your next luxury vacation, business trip, or special event.